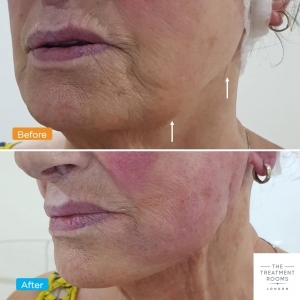 The Treatment Rooms London proudly present a series of its patients who have undergone a jowl lift using PDO Threads. PDO Threads are used to define the jaw and reduced lines and wrinkles that appear around the mouth. This lady wanted to lift her sagging skin and jowls. PDO threads were inserted to lift her areas of concern resulting in an amazing rejuvenated appearance. 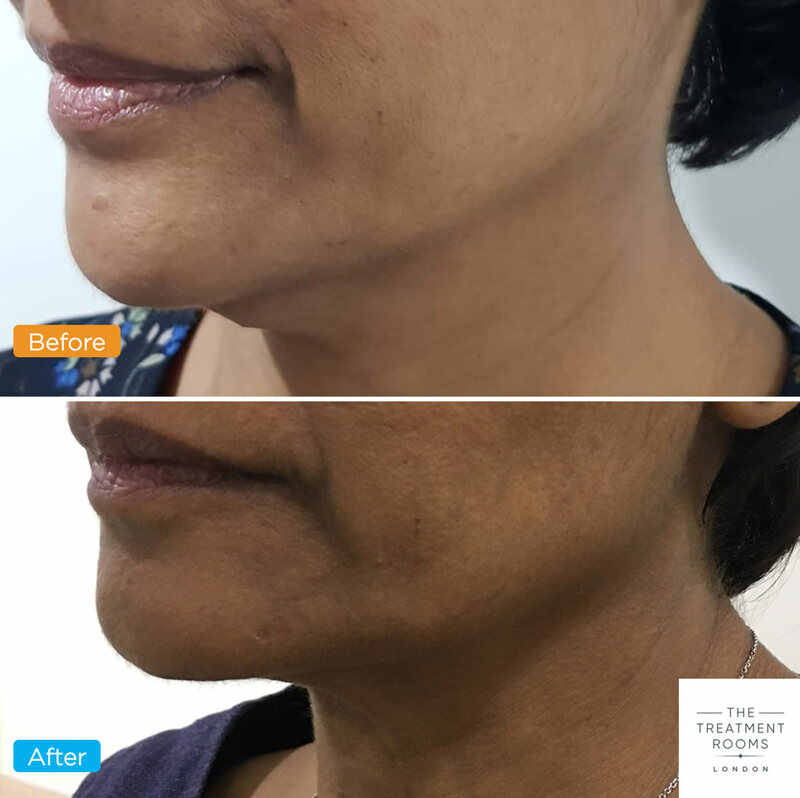 Defining the jaw and lifting the jowls using PDO threads has resulted in this happy patient having a chiselled jawline. You will also notice that her marionette lines below her mouth have also been reduced. Lifting sagging tissue around the jawline and chin to refresh this patient’s lower face. Lifting the jowl area can contour the jawline with incredible results that last a year and more. PDO Threads inserted either side of the jaw to lift the jowls and increase jawline definition. This lady wanted a simple lift of her jowls to emphasise her jawline definition. Quick results with minimal downtime. If you would like to find out more, book a free consultation with one of our Thread Lift Specialists or simply start a WhatsApp conversation by clicking the Whatsapp Icon.